This unique and beautiful house forms part of the historic Samoens nineteenth century cheese dairy, which has been entirely renovated. It comprises of three bedrooms and two bathrooms sleeping 9 people comfortably. 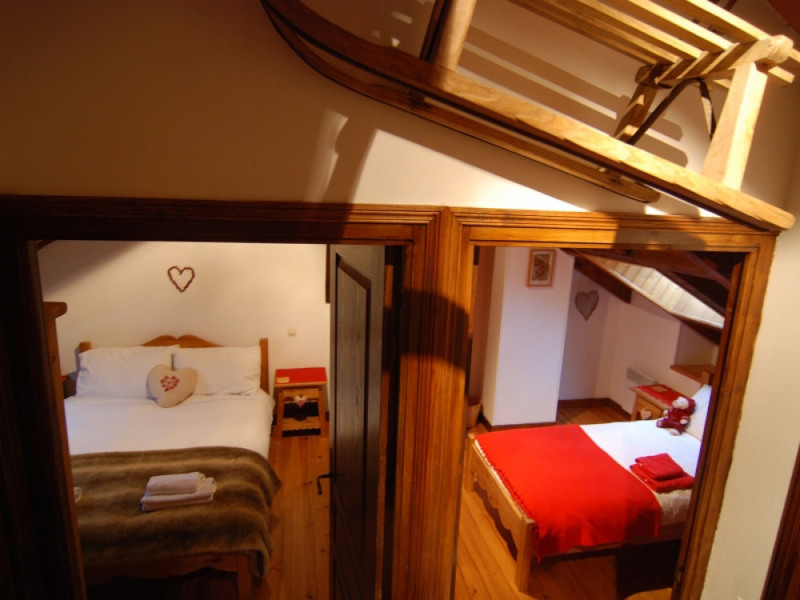 Featured in the Where to Ski and Snowboard 2013 Guide, quoted as ‘cosy well restored traditional'. The house has original exposed beams throughout; it has been tastefully and thoughtfully refurbished and furnished with contemporary and traditional touches. It is light and spacious throughout; with a generous 83m2 of accommodation cleverly laid out over 3 floors. It comprises three bedrooms and two bathrooms sleeping 9 people. Perfect for 2 families sharing, with an open plan lounge, dining area and kitchen on the entrance level and bedrooms with their own bathrooms on the lower and upper floors. The open plan living area has a large table with ample seating, with a double sofa bed for additional flexibility and wonderful views of the village and mountains. It is equipped with WiFi, flat screen TV with English channels and DVD player and a selection of board games, books, maps and DVD's. A large wood burner provides a focal point in the living area and there is also heating throughout the house. The new well equipped kitchen area has plenty of work space and appliances including an electric ceramic hob, integrated dishwasher, fridge, microwave and fan oven. A wide range of cooking utensils and crockery; complete for producing gourmet cuisine! Stairs lead off the living area to the lower and upper floors. The lower floor has one large bedroom, with double bed, bunk beds, direct access to an outside area with steps up to the ground level via a glazed door. The room also has its own hand basin. The bathroom on this level has a shower, hand basin and toilet, equipped with hairdryer and heated towel rail. Upstairs are a further two bedrooms, one with a double bed, and the other with twin beds and a further pull out bed. 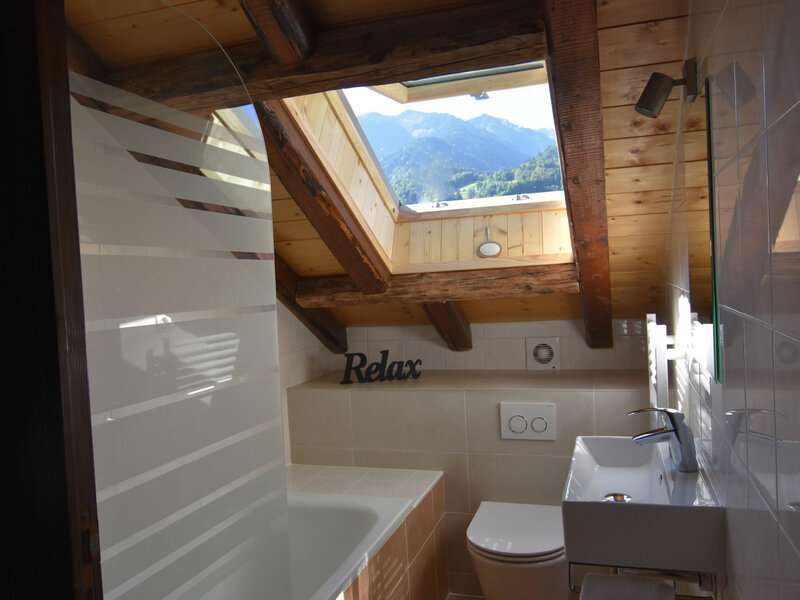 Both bedrooms and bathroom have velux windows, providing ample natural light and wonderful views. There is also a second bathroom newly refurbished with bath and integrated shower, hand basin and toilet. There is also a laundry/ drying room, with washing machine, tumble dryer, iron, ironing board, storage space and freezer on the lower level. A cot, high chair and safety gate are available. The accommodation has off road parking for two /three cars. The south facing terrace /garden to the side of the property provides ample space for outside dining and relaxation to soak up the alpine atmosphere of the village. Enjoy Al fresco dining - table, chairs, parasol, relaxers and BBQ provided. There is secure storage for equipment such as bikes, pushchairs, ski’s. There are tennis rackets, table tennis bats, french boules and sledges which you are welcome to use. L’Ancienne Fromagerie is situated in the French Alps, in the medieval village of Samoens. One of the prettiest villages in France, and is the only winter and summer sports resort in France to be listed as a ’Monument Historique’. The chalet is ideally situated, it is just 200m from the historic village centre where you can find the boulangerie for fresh bread, croissants and cakes, supermarkets for stocking up on essentials and a wide selection of specialist shops, bars, cafes and restaurants. Samoens' outdoor leisure complex is situated an easy walk along a footpath next to the river and has a variety of facilities including swimming pool, lakes and golf driving range. In winter the free ski bus is a few minutes’ walk away, which takes you directly to the Grand Massif Express lift. The Grand Massif Express lift is now open in summer (July and August) as well as winter; this is fantastic news for walkers, bikers, paragliders and sports enthusiasts alike. In summer the location is perfect as right from the chalet door step are routes for road cycling, mountain biking and hill/mountain walking. The area provides spectacular scenery, mountains. including mountain lakes, botanical garden, national parks and provides the centre for almost every outdoor activity imaginable, for all ages, summer or winter. It is close to the borders of Switzerland and Italy, and day trips can be taken to Chamonix, Annecy or perhaps Lake Geneva, the largest lake in Europe or Mont Blanc the highest mountain. Samoëns is only 60 minutes drive from Geneva International Airport, 540 miles from Calais, 20 minutes drive from the motorway exit , and the TGV train station at Cluses. The Grand Massif is the 4th largest ski-linked area in France. It rises up to an altitude of 2500m. Surrounded by grandiose scenery, the Grand Massif affords a truly breath-taking panoramic view of the French side of the Mont Blanc mountain range. The 5 linked resorts - Flaine, Les Carroz, Morillon, Samoëns and Sixt - are remarkably diverse. During the summer, the weather is usually in the high 20s - perfect for swimming, walking, cycling, rafting, or visiting neighbouring towns and lakes in France, Switzerland or Italy. Samoens and the Grand Massif has over 600km of well signposted cycle paths and a wide of range of length and difficulty, from black hair raising descents, to single track, valley riding and forest trails for all the family. Specialist cycle hire shops in Samoens (minutes walks from the chalet) cater for all abilities and guiding is available. A mountain biker’s paradise, the lifts are open during July and August ensuring as much time as possible is spent going downhill. A VTT map can be purchased at the Tourist Office and there is a large board displaying the trails next to the tourist office. A mere 10 minutes away at the top of the north side of the Samoens valley, the Portes Du Soleil area gives you access to the more famous resorts of Morzine and Les Gets. 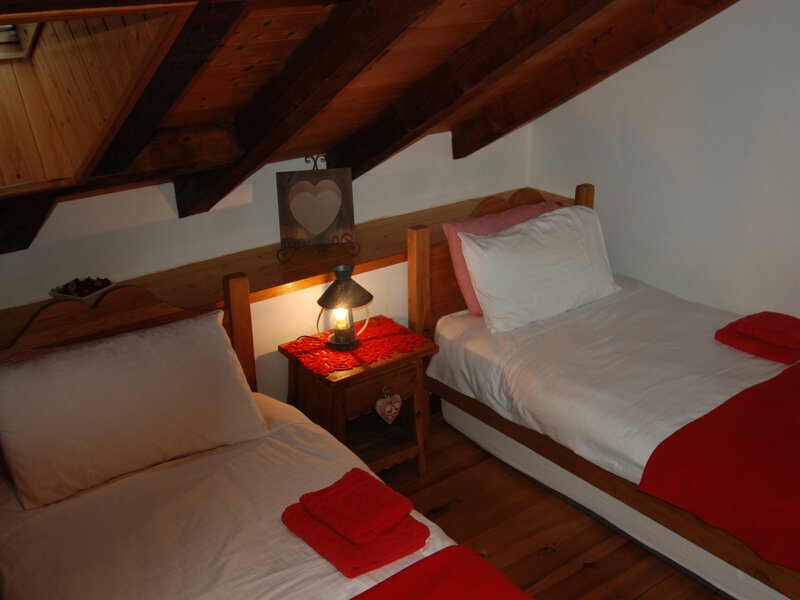 For road or touring enthusiasts the chalet is situated at the foot of the famous Col de Joux Plane, widely recognised as one of the best ascents in the Alps. Climbing from 721m to 1,691m over 13.1km with an average gradient of 7.4% (greater than 10% in places!) Samoens, is the start point and base for 6 fantastic rides, all very different and if they aren't enough, just 20 minutes away, a further 8 rides beginning for even the most experienced roadie. Leave the car behind and take to the mountains and stay in one of the many refuges and break the walk, easily accessible from the chalet. There are numerous walks from the chalet, easy family walks to more challenging high level walks in the mountains. Walking in the Alps is very well signposted and maps and books of walks are available for you to borrow in the chalet – many of which we have walked ourselves. From beautiful alpine meadows, spectacular waterfalls, gorges, lakes to glaciers, and fantastic views including Mont Blanc which dominates the area. Samoens' outdoor leisure complex is situated an easy walk along a footpath next to the river. The leisure centre has two beautiful lakes for fishing and boating, football pitches, 6 tennis courts, basketball/skate park, play park for children, archery and a golf driving range into the lake! Two large swimming pools (one for 'swimming' and the other for 'playing'), an infant’s pool and a 60m water slide (tennis, swimming and archery are payable). Also within the leisure complex is the Tarzan-style "Indiana Park" forest park, which consists of climbing rope ladders, crossing suspended bridges between trees then whizzing down zip lines! There are different courses based on age and ability. 7 Courses within 1 hours drive. The 18 hole Golf courses at Les Carroz and Les Gets boasts fantastic views, and uncrowded fairways. Other golfing challenges in the area include an 18 hole course at Les Gets, a 9 hole course at Avoriaz, and a practice range at Samoëns with a driving range over water and a putting green which is an easy walk along a footpath next to the river. The Grand Massif is the 4th largest ski area in France and has one of the lowest lift to beds ratios…so much smaller queues than other well know resorts. Samoens now has a high speed lift from 1600m up to 2500m…this means less queuing, less time on the lifts and more skiing! There are some fantastic alternative activities in the winter, so if you are a non skier there are plenty of other exciting things to take part in, why not try snow shoeing, dog sledding, or enjoy a delicious Savoyard meal in a Yurt on the side of the mountain! The free ski bus is a few minutes’ walk from the chalet, which takes you directly to the high speed Grand Massif Express gondola, which takes just 8 minutes to reach Samoens 1600 and the extensive ski of the Grand Massif, with 144 of pistes and over 260 km of skiing. Samoens connects to the Flaine ski area and its renowned bowl and the pretty tree lined resorts of Les Carroz, Morillon and Sixt. The impressive ski area has a choice of challenging blacks, red, blue and gentle green runs to satisfy all skiing levels, including the famous 14km Les Cascades blue run from Flaine. The market is one of the largest in the Haute Savoie and well worth a stroll around on Wednesday mornings, selling everything from speciality food, wine, clothes and gifts. Alpine garden created in 1906 by Marie-Louise Cognacq-Jay, on 3.5 acres of land. Houses more than 8000 varieties of Alpine flora from around the world, together with waterfalls, castle ruins from the Xll century, and a chapel from the XVlll century. Visit this old farm and discover the history of the families from Samoëns. Visit the gallery and see cheese manufacture, the maturing cellar, drying room, film projection, and sale of local products. Prices include: meeting at the accommodation with keys and information, provision of linen and towels with beds made prior to arrival and end of stay cleaning. A welcome pack including tea, coffee, milk, jam, chocolates and a bottle of wine together with a selection of Molton Brown toiletries in each bathroom is provided. There is also a starter pack of washing up liquid, bin liners, washing powder and cleaning products. 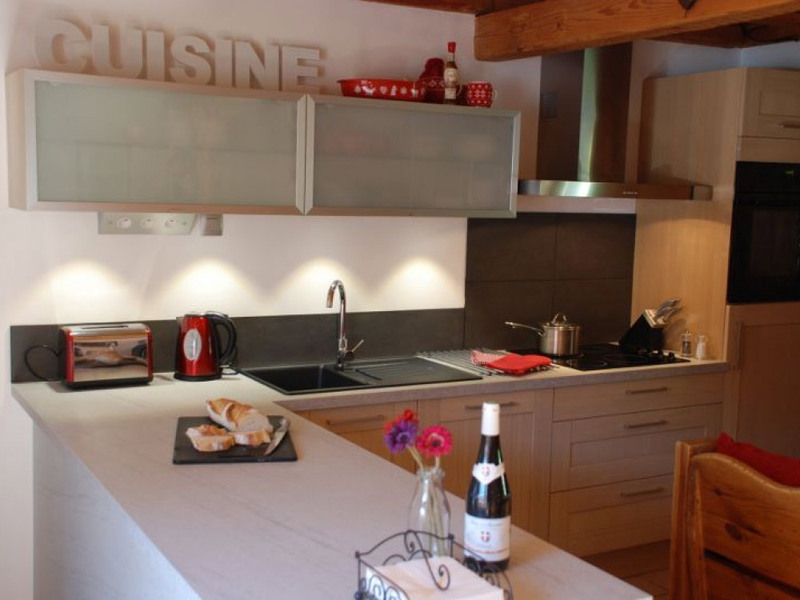 Log are provided for the wood burner, local tourist taxes and in resort manager who is on hand to assist and provides catering options delivered to the chalet. Recommend the rafting with Ecolorado ...we had David and he was a great host and really made the trip an adventure We have rafting before and this was by far the best time we have had. - I still know how I jumped of that high pipe -- GREAT FUN !! The local outside pools were a favourite and we spent 2 days there and we all loved it. Great to have the pool where I can swim some lanes and work off the cheese and wine ! and what views while swimming … spectacular. We enjoyed your lovely, comfy and homely chalet as much as we enjoyed the skiing and that was a lot! Samoens is charming too and the people we met seemed very welcoming. 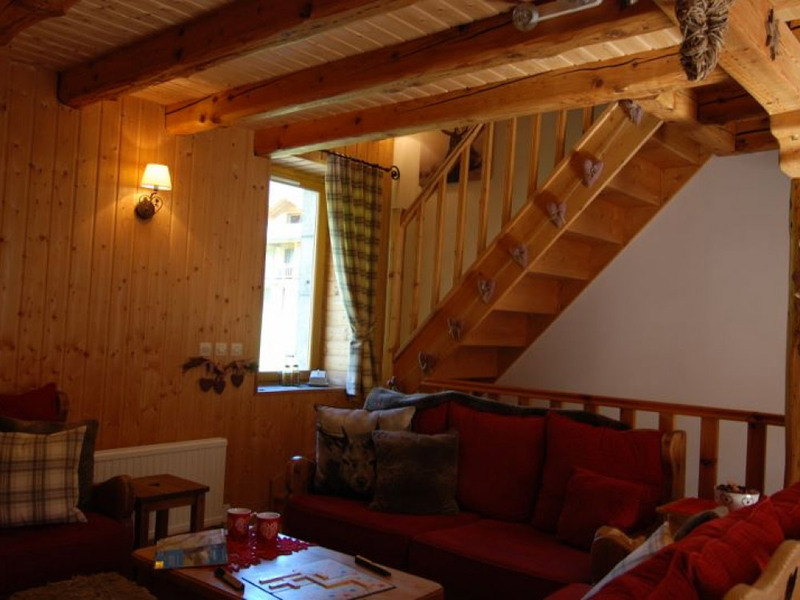 "Lovely cosy, well kept chalet. Great location for the village. We've had wonderful sunny weather and a great holiday. Very comfortable home for the week. Thanks so much." "This is the second visit to your house as the location is perfect." The property is non-smoking and pets may be allowed by prior arrangement. Our prices include our complimentary service: Provision of linen and towels with beds made prior to arrival and end of stay cleaning. A welcome pack including tea, coffee, milk, wine, together with a selection of Molton Brown toiletries in each bathroom is provided. There is also a starter pack of washing up liquid, bin liners, washing powder and cleaning products. 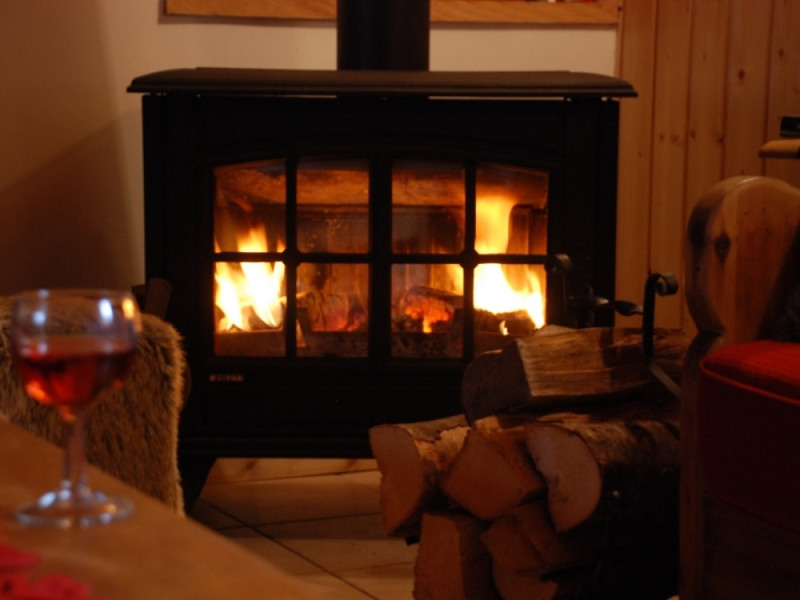 Log are provided for the wood burner, local tourist taxes and in resort assistance for any questions. Catering options delivered to the chalet are also available. *Price for whole chalet per week.